Probably most of you know me for my activity as a pipemaker. 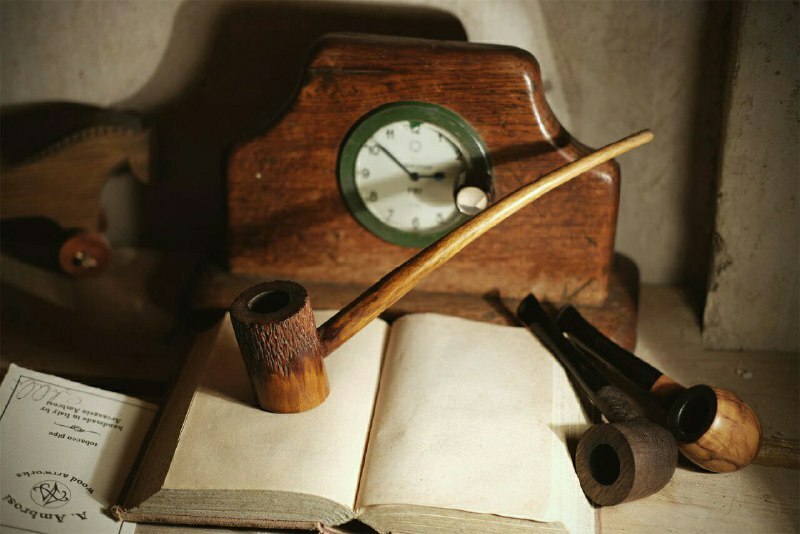 The pipe is the object to which I have dedicated myself more in my years of work as a wood craftsman. I consider it a unique mean of expression, always different, intriguing, in which one can infuse his own creativity in a thousand ways and shapes. Until now, the pipe is the object I have produced to the greatest extent. Today, the idea that the pipes I have made and sold are scattered around the world gives me great satisfaction. The earnings I got thanks to my pipes do not make me a rich guy but they allow me to keep my business “alive” and to continue doing a job that is above all my passion. In particular, along with my work as a pipemaker, I have cultivated another important project, always related to wood working. This one I’m speaking about is a sculpture project, an artistic journey in collaboration with the artist and great friend of mine, Bianca Roselli. Thanks to a strong artistic empathy, we have managed to create works that reflect our visions, in total freedom, without any restrictions of form and ideas, letting ourselves be transported by the thousand possibilities of manipulation that only wood can offer. You can see in the pics below the works we have made since 2015, which have been exhibited on several occasions in artist collectives. “Primordium” by Roselli-Ambrosi from Roselli Ambrosi on Vimeo. “Nautilus” by Roselli Ambrosi from Roselli Ambrosi on Vimeo. (We have a website, a Facebook page and an Instagram profile). These works have required a large amount of time, lots of research, experimentation, and investments in equipment. We are both focusing really hard on this project, but it requires a lot of energy. In 2017 the efforts put in this project have inevitably took time away from the production of pipes, and sometimes I happened to be a little late with the commissioned work. Very likely this year the number of pipes I will produce will be lower than that of the previous years. I will try to maintain a certain regularity and optimize my production organization as much as possible, but certainly by this year my pipes will be rarer. On the base of the experience maturated in 2017 I’ve made an important decision, that is, I will not work on commission (except for those who have booked pipes during the last year). The pipes that I will be able to produce will be sold, as usual, on my Etsy store, and their availability will be regularly announced on my Facebook and Instagram profiles (especially the latter, since the former has drastically reduced the visibility of my posts). While I commit myself to continue giving all of my best, as I have always done, I wish a happy 2018 to everyone! I’m happy to read about your desicion. I think you will benefit from the greater artistic freedom this will grant. Looking forward to see more of your talent in 2018. Life is all about creation, and creating is life. Hallo mate, I hope you are well! Thank you so much for your words, I’m happy you understand and support my creative journey. I hope you are cultivating your creativity too. Excellent work! I am happy to have found your Art! It is an inspiration and revival of my own.